I am convinced you will never read a story that is more inspiring and challenging than Ishmael. Perhaps it is the emotional connection I have with this book, and the memories it holds of me reading to my departed brother, but I don’t think that is it. Ishmael is a wonderfully captivating story that will make you want more. It is filled with amazing conviction, love, passion, selflessness, and sheer determination. The story woven by E.D.E.N Southworth tells of Ishmael Worth’s humble, yet unfortunate beginnings. He entered life motherless and poor, and despite the wishes of everyone around, survived and flourished in his paltry environment, embodying the “blooming where you are planted” virtue. His commitment to character and integrity, and his singular focus on preserving his mother’s name, gave his life focus and purpose. His perseverance and determination to educate himself in the end gives him the opportunity to influence the highest levels of government. 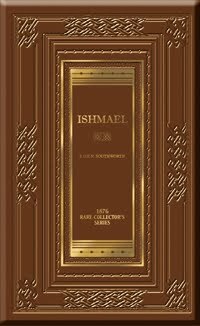 Ishmael’s pure, noble spirit, in spite of deprivation and condemnation, is uplifting and inspiring. Set in the late 1800s, it beautifully depicts the life and society of the time, capturing the rich panorama of sights and sounds in rural Maryland, decades prior to the Civil War. While the start of the story is slow, the plot is woven together with intriguing events that will hold you spellbound to the end. Ishmael lives a life of turmoil, but never allows his circumstances to determine who he is, and what he will become. Ishmael’s incredible faith in the Lord, and how it helps sustain him through his various trials and tribulations, are the essence and heartbeat of this story. He allows the grit of this life to polish him, instead of wear him down. To any and everyone who has ever experienced hard times, this book will help open your eyes to the wonderful workings of God behind the scenes, reminding us that everything works together for the good of those who Love Him. This is an excellent book for teens and adults. 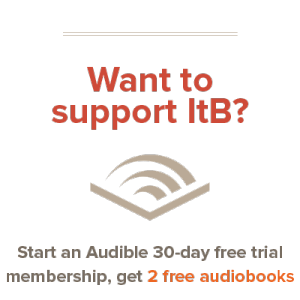 It wouldn’t suit as a read-aloud for children because the content requires greater experience to digest. A must-read that will make you feel deep emotions, smile, and cause you to root for the underdog and wrongfully accused. But take my word for it. Have the sequel, Self Raised, on hand after you finish. You won’t want to stop. Having warned you, if you do not follow my advice, I cannot be held personally responsible for your agonizing suspense while you wait to get a hold of Self Raised. Great review, Kaitlyn; you definitely made me want to read this book 🙂 I might actually go to the library and get this one. *smiles * You guys won’t regret this read, I guarantee it.